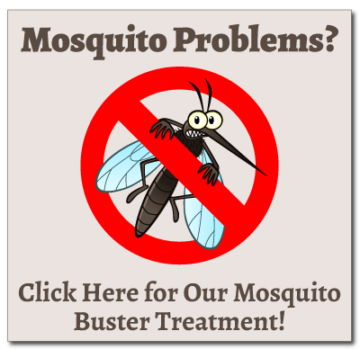 We now offer mosquito treatments to Olathe and surrounding areas. Mosquitoes are a real nuisance critter, and as time goes on we also have growing concerns about the West Nile and Nika viruses. Are you also tired of constantly spraying down in bug repellent, lighting those stinky citronella candles, or just not being able to enjoy the outdoors? Our Mosquito Buster Program knows just what you are going through, and can help solve all your mosquito problems. We offer both commercial and residential control packages. By combining the principals of IPM (integrated pest management) and the latest science, we have developed a program tailored to the Kansas City area. For example, intensive research has revealed that the mosquitoes diet consists of mostly sucking plant juices, not human blood. It is these advances in research that have allowed us to develop an effective control program. Barrier Spray – This is an adult insecticide that is sprayed around the property. When the insect comes in contact with the product they are eliminated. Plant Spray – We know that mosquitoes feed on the underside of plants in certain areas of the yard. Armed with this knowledge we spray into shrubs up to 7’ off the ground. This insures that the product reaches where mosquitoes feed. When they feed they will be eliminated. Lavracyde – Most properties have areas that hold water. We target those areas. Most often they are bird baths, gutter systems, rain barrels, or underground catch basins. By deploying special product into these areas we are able to prevent the larva from maturing into adults. Insect Growth Regulator – This product is sprayed on the yard to help reduce the adult populations by preventing them from maturing into adults. 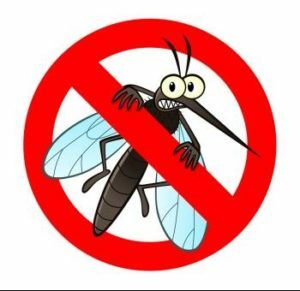 Mosquito Busters offers many different types of service options. We are happy to treat your property one time or we also offer bug season control for the entire year. A one-time treatment cycle is typically 21 days, so if you need protection throughout the entire spring, summer, and fall, we can create a program just for you. • Licensed and trained personnel. • Conscience of the flowing plants and bee activity. • You will get to know your Mosquito elmonoter by name. They will be the same each time. • Local – we are not a franchise. Contact The Mosquito Busters today for a nice, enjoyable summer. If you need the backyard treated for mosquitos in your Overland Park or Olathe area home, call us today!